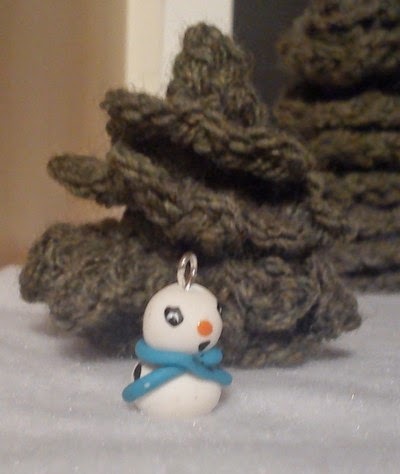 I finally started making little Christmas stuff out of Fimo for the Christmas fairs that start next week end. EEk ! I made 10 little red elves. Very little, they are only 3cm high ! But they are supposed to be charms, or key ring things, so they can't be bulky. And I made micro snowmen. 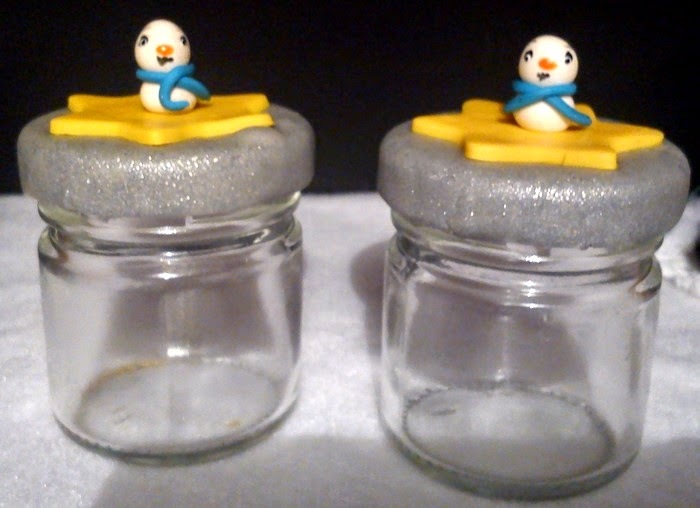 2 on the little pot decorations (about 2cm high), one as charm, and one as earplug cosy for mobile phone. And yes, they are tiny !!!! 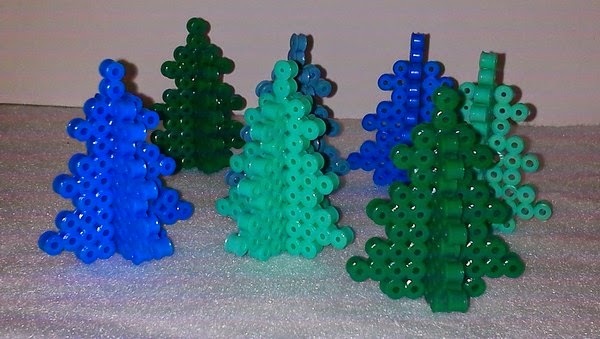 I wanted to use my Hama beads for Christmas, so I made trees and snowflakes. Thr trees are 3D and standing on their own, I think I will add seed beads or something, and they can be used as name placement on the festive table. 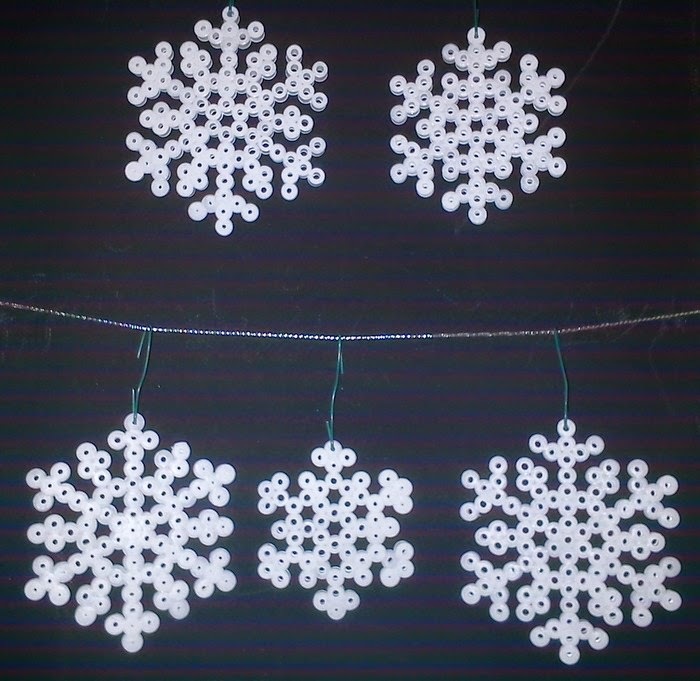 The big snowflakes are destined to be coasters, and the smaller ones ornaments. Arbres 3D en perles hama et des flocons de neige, dont les plus grands seront utilisés comme sous verres. People on Facebook are counting.... 6 weeks till Christmas. But I won't count the days since last post..... So where have I been? Mostly playing Disney Magical World on 3DS. Video Gaming and no crafing means nothing to post, of course. 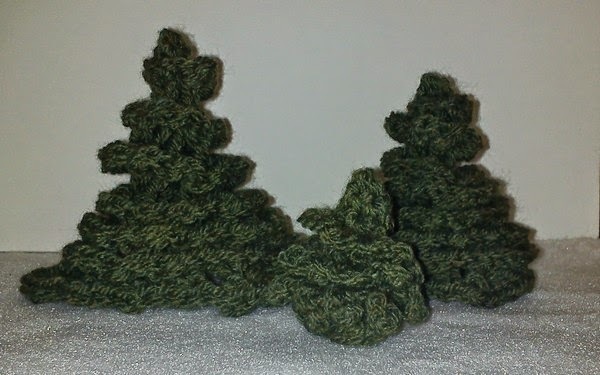 Except crocheting snowflakes here and there.... and making these Christmas trees. Well, they are the second set I made, my mom took the first set !!!! Des sapins que j'ai crocheté entre deux parties de Disney Magical World sur 3DS. En fait, c'est le deuxième set que j'ai fait, car le premier est parti chez ma maman !